Researchers today have a plethora of options to choose from when it comes to feeding laboratory animals. 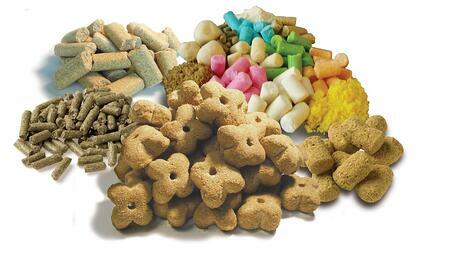 Let’s explore the differences between standard diets and custom laboratory animal diets. Standard is a common term use to describe diets made from natural ingredients and manufactured in bulk. Standard diets are formulated to meet broad objectives at a variety of life stages, and have been fed to laboratory animals for more than 75 years. In addition to supplying nutrient needs for reproduction, growth, and maintenance, they are used across a wide range of research areas. When chosen with intention, they are appropriately used to support studies when more specific diet manipulation is not needed. Corn, wheat, and soybean meal are some of the common plant-based ingredients utilized in these diets. One ingredient generally supplies multiple nutrients. For example, soybean meal contains protein, minerals, vitamins, fibers, and non-nutritive compounds. The presence of non-nutritive compounds (e.g., soy contains phytoestrogens) can lead to unintended consequences and affect study results. Custom lab animal diets are fed for a defined purpose, such as nutrient control, inducing disease, or as a dosing technique. They are often developed collaboratively, with input from the researcher. Rats and mice are the most common preclinical model which utilize custom diets; however, custom diets are also fed to rabbits, guinea pigs, swine, poultry, and primates. Custom diets can be made of natural grain ingredients (as with standard diets), but the majority of custom diets are purified rodent diets. These diets consist of refined ingredients which supply one major nutrient class - like casein (protein), starches and sugars (carbohydrate), various fats and oils (lipid), cellulose (fiber) and then micronutrients are added to round out the formulations. The levels and types of ingredients can be manipulated for research purposes. For instance, the common high fat diets have up to 60% of energy coming from fat, which means that the carbohydrate portion of the diet is reduced relative to normal. If a zinc deficient diet is needed, the casein is replaced by egg white solids which are naturally low in zinc. Custom diets are practically endless in possibility. Overall, there will be less nutrient variation in a purified diet compared to a standard diet, and non-nutritive components such as phytoestrogens are eliminated or minimized. Custom diets require a little more maintenance than standard diets; they are more perishable so they must be refrigerated and replaced more frequently in the feeder. Appreciating the differences between standard and custom diets is the first step in finding the right diet for your study. Consult with a nutritionist for help in selecting the right diet for your study. Find out more here.